CAPE CANAVERAL — A United Launch Alliance Delta 4 rocket went through a practice countdown and fueling exercise today to prepare for its Dec. 7 liftoff to deliver a U.S. military communications satellite into space. 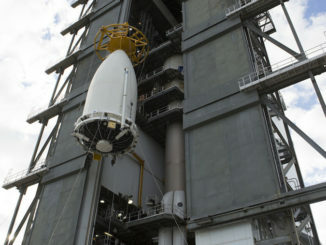 Today’s operation, an abbreviated version of a Wet Dress Rehearsal, saw the mobile service gantry retracted to its launch position and the loading of 170,000 gallons of supercold liquid hydrogen and liquid oxygen into the first and second stages of the vehicle while working through portions of a real-life countdown. Attention now turns to delivering the payload to the pad for attachment and the final days of the launch campaign before flight. The Delta 4 was rolled to the Complex 37 pad a month ago to begin the conventional checkout and final assembly tasks for the rocket while in a vertical position, including installation of four solid-fuel boosters. Delta 376 will launch the eighth satellite in the series of Wideband Global SATCOM spacecraft for the Air Force. Flying in geosynchronous orbit 22,000 miles above the Earth, the WGS constellation rings the planet to provide the primary communications infrastructure for the U.S. Defense Department. 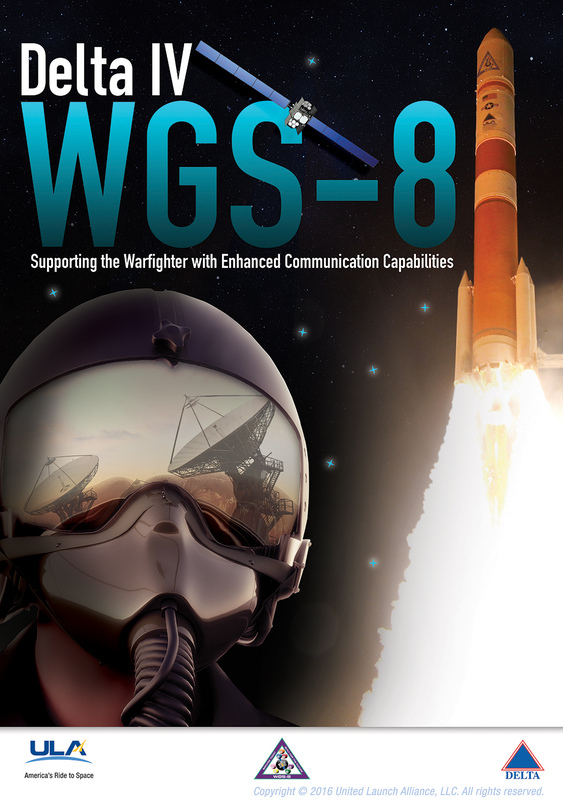 WGS 8, however, is upgraded to offer a 90 percent increase in capacity over previous satellites in the system. The Boeing Co. builds WGS to provide communications used by soldiers, ships, aircraft and drones. 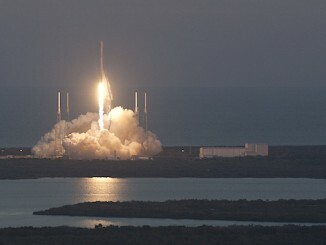 Liftoff on Dec. 7 will occur during a window of 6:53 to 7:42 p.m. EST (2353-0042 GMT). 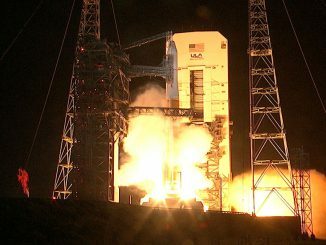 It will be the 34th Delta 4 launch and the vehicle’s 19th flight for the Air Force.